The most popular route is Playa Blanca to Corralejo. The average price this month for this route is £22.50 for a car and two people each way. Booking a ferry in or to the Canary Islands is simple, easy and safe with AFerry, just use the booking form above to get a price. La Palma-Las Palmas de G.C. Booking a Canary Island ferry couldn't be easier with AFerry. You can either use the booking form at the top left of the page. The Canary Islands are situated off the coast of West Africa and are a popular tourist destination. These Spanish Islands have a warm but mild climate, owing to the breeze from the Atlantic Ocean. The Canary Islands make for the perfect destination, whether you are looking for a relaxing break on the beach, or a more active holiday. Enjoy the lively nightlife in Las Palmas in Gran Canaria, soak up some culture in Fuerteventura or hike through the National Park of Timanfaya in Lanzarote. 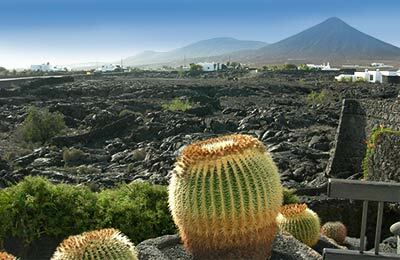 Situated off the African coast, the Canary Islands boast a warm dry climate while retaining a strong Spanish culture. Whether it's water sports you are into, or you just want to explore the landscape through hiking, the Canary Islands won't disappoint. The Canary Islands - Gran Canaria, Fuerteventura, Lanzarote, Tenerife, La Palma, Gomera and Hierro - offer the ideal year-round holiday location being situated just 100 km off the coast of Africa. And being situated in the Atlantic makes for a milder than expected climate. While best known for their pristine beaches, the islands that belong to Spain have some stunning scenery and landscapes. There are a wide range of tourist attractions to please the many nationalities that visit every year. 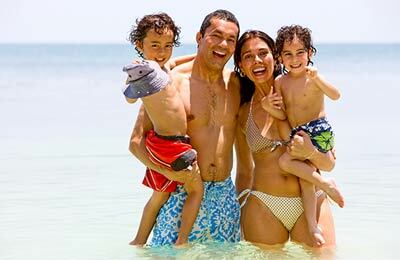 The main tourist resorts are excellent for water sports, windsurfing, sailing, fishing, tennis and golf. The local people take great pride in their folklore traditions and the carnival festivities are famous throughout Spain and well worth a visit. Although it is possible to around most of the islands, there are plenty of affordable taxis to travel by road. The islands are all connected with each other and the mainland (including the ferry port of Cadiz) by frequent ferry services. The main island ports are Las Palmas and Tenerife. Visit the lively city of Las Palmas, the capital of Gran Canaria, for a good night out with its many bars, restaurants and nightclubs. On Fuerteventura, visit the Church of Santa María in Betancuria, which is noted for its painted ceiling and murals. If you can get away from the beaches and towns, then it is worth doing some hiking and visiting places like the National Park of Timanfaya, for instance. 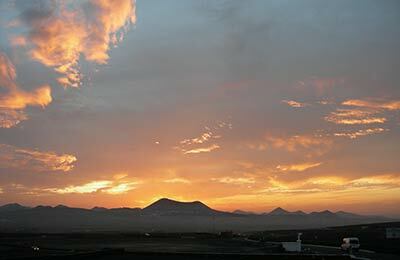 There is a spectacular lava flow, awe-inspiring in its barren majesty and covering nearly one-third of Lanzarote.